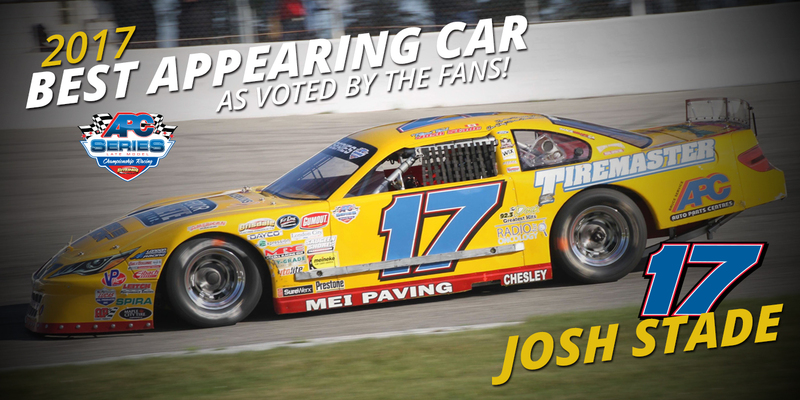 After a few weeks of voting between all the drivers in the APC United Late Model Series that completed in at least 75% of the races, Josh Stade has been voted as the best appearing car for the 2017 race season by the fans. In a final round matchup against Treyten Lapcevich, nearly 1.4 thousand votes were cast with Stade being determined as the overall winner. 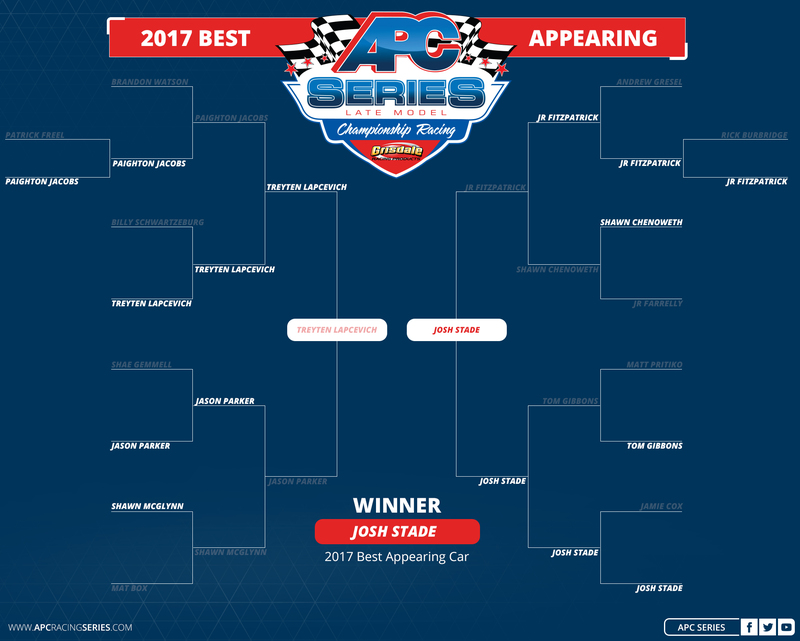 Congratulations to all the drivers and teams in the series on preparing spectacular looking race cars and to all the race fans for making this bracket challenge a wild success!